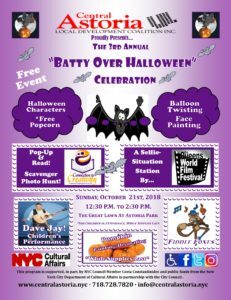 3rd Annual “Batty Over Halloween” Celebration! 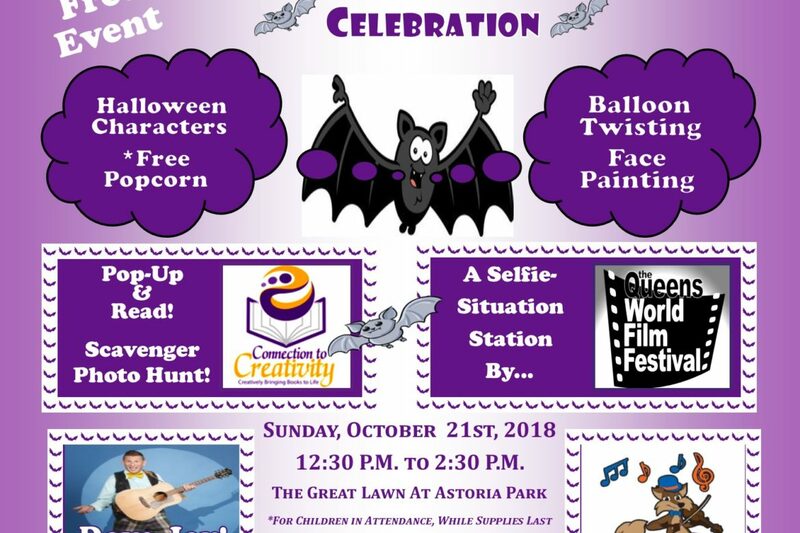 Central Astoria LDC is proud to present its 3rd Annual “Batty Over Halloween” Celebration! Join in for children performances, pumpkin crafts, scavenger hunts, balloon twisting, face painting and more. On The Great Lawn at Astoria Park. We Can’t wait to see you there! !